b and, eventually, you can do it with confidence and maybe even go on to teach others. And it’s the same when looking for a language course; there are lot of courses out there but which is the right one for you? If you are going to do all of the research yourself, the best starting point is to prepare a list of what you need from the course and also what you don’t want and then move on from there. Maybe you want a beginners’ class, or maybe you’ve already got a good understanding and so would prefer to go for a more advanced class. Or are you intermediate? Doing the research yourself, you could end up on a course which is far too easy or way over your head and, either way, you’re not going to learn anything, as your heart won’t be in it. Sites are always written in a way to entice the reader to think that they’ve just found the best one for them but this is not always the case. So, maybe you could phone the course provider and get a little information. This sounds good but the truth of the matter is that, if you do phone up, the person answering the phone is going to do a hard sell on why you have made the right phone call. Well, they are not going to say anything negative about themselves, are they? When you want an insurance policy, you go to a financial advisor. If you want to invest some money, you’d seek out a professional to advise you on some possibilities. After all, you don’t want to live to regret the day, do you? So, when you want to find the right language course for you, it would be best that you found someone who would do that advising, to make sure you place yourself on the right step of the ladder of learning. This ‘agent’ will have a lot of experience and will have learnt to understand what the customer wants. This same agent will have learnt from mistakes and will have trawled all similar information, to come up with the best route for an individual to take. And they’ll go the extra mile. While a language school will have everything ready for you when you get there, an agent will take the whole picture of leaving home and returning home into the equation. 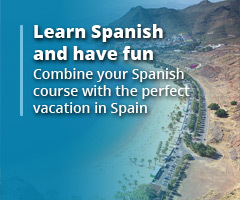 And, the best part is that the agent is paid by the school so you do not pay extra to book your Spanish program with an agent compared to booking directly with the school. Some people get a kick out of doing all of the hard work to organise an event. Others pay to get it done to match their requirements. Mistakes cost money. And will invariably save you those losses. It makes sense, don’t you think? 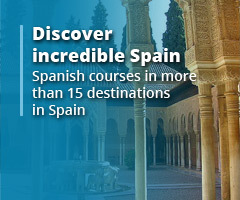 In UniSpain we have helped more than 10.000 students find the right Spanish language school since 2001.